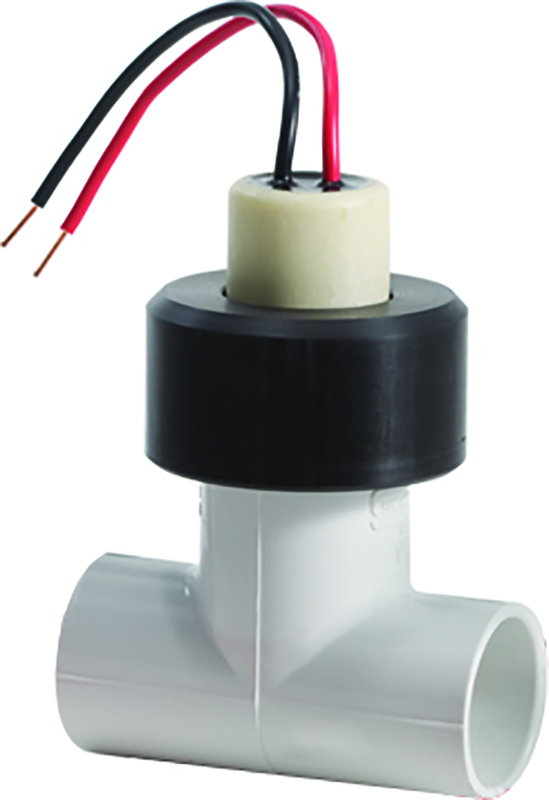 The Badger Meter Series 735 flow sensors feature a four bladed, rugged, non-fouling impeller. This non-magnetic sensing technology reduces drag and allows for quick changes to flow and a wide measurement range. As fluid turns the impeller, a low impedance square wave signal is transmitted with a frequency proportional to flow rate. Signal can travel up to 2000’ between the flow sensor and the display unit or controller input without the need for amplification.